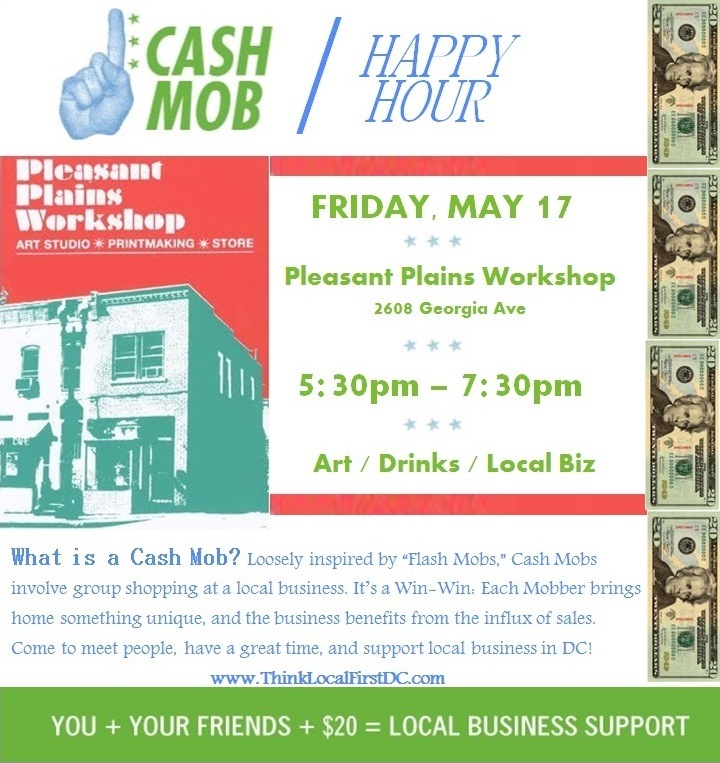 We are so thrilled to have been selected for Think Local First‘s location for this quarter’s Cash Mob! Think Local First supports independent, locally owned and operated business in DC. These events put your dollars directly back into the community. We’ll be serving refreshments during the event, and we have LOTS of fun items at or under $20 such as our hand printed tees and ties, posters by Fire Studio, small art prints, poetry books by local authors, jewelry, housewares, and more!